While reading Karen MacNeil’s Wine Bible (well written, informative, interesting, and just a great book), I reached the section on Germany. The way she described the terroir, the regions of wine making, and the classifications of ripeness was so fascinating that I had to know more. What better way to learn about the different regions than do my own Riesling tasting? I was familiar was the stereotypical sweet sugar-packed Rieslings, which I don’t care much for, but I was intrigued by the Rieslings from Mosel-Saar-Ruwer that grow on the side of its steep hills with limited sunlight. The next day, I picked up two German Rieslings, one from Mosel-Saar-Ruwer and one from Rheingau, and finally one from Alsace to round it out. I was ready to go! From left to right, 2010 Leon Manbach Riesling Frankstein Grand Cru, 2011 Kunstler Riesling Estate Dry, and 2011 Fritz Haag Riesling Feinherb. First up was the French Riesling from Alsace. This dry Grand Cru tasted somewhat like peaches. There was a good hint of acidity and a nice mineral quality to the wine as well. The most defining characteristic of this wine compared to the others was its spritziness. 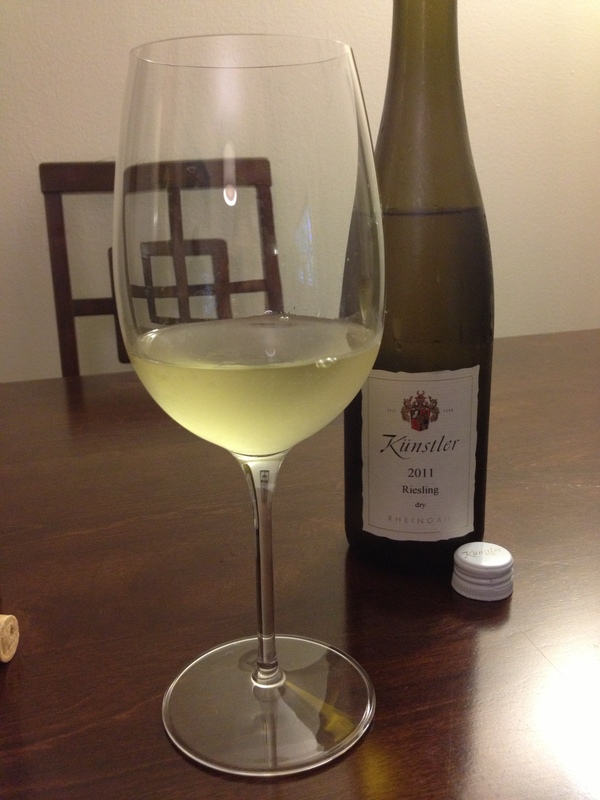 Next was the dry Kunstler Riesling. This was the driest of all three Rieslings. It was quite crisp and clear tasting. This wine was much smoother than its counterpart from Alsace, but it still had a slight harshness and minerality to it. I liked this one the best because it wasn’t sweet and it could be very versatile with pairings. Last but not least was the Fritz Haag from Mosel-Saar-Ruwer. This wine was very clean and elegant. Compared to the other two, this was the sweetest and tasted more round and balanced. Flavors of pear and peach were evident throughout. Overall, I would personally go with the Kunstler if I wanted something dry. 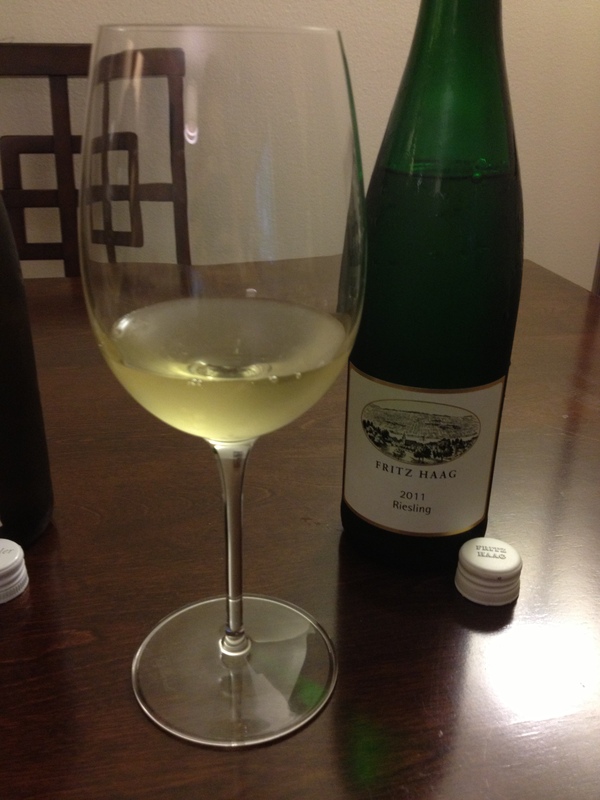 The Fritz Haag was too sweet for me, but I would definitely recommend it for your typical semi-dry Riesling. 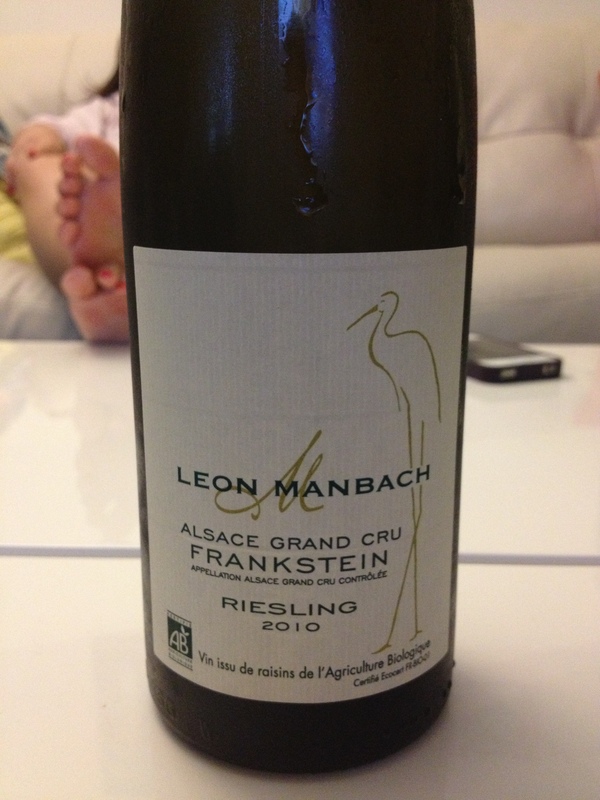 I think the Manbach could develop into a really nice Riesling after a few years. This tasting really showed how different Rieslings can taste, depending on the region and terroir. I’ll just need to have another tasting in the future to expand my knowledge and palate.